Hawkwood is located in the northwest quadrant of Calgary. It is surrounded by the communities Citadel, Arbour Lake, Edgemont and Ranchlands. The community was established in the 1980’s and was named after the first landowners of the area. Hawkwood real estate consists of mostly single family homes but also offers some condominiums and town homes. 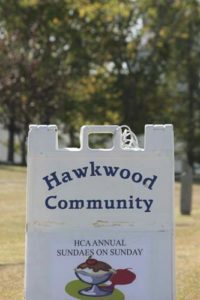 Hawkwood features an active community association with year-round events. There are many parks that weave their way through the community, including pathways that connect crescents and cul-de-sacs and offer pedestrians, runners and cyclists with endless options to explore. In addition, this residential community features quiet streets, suitable for families of any size. Hawkwood has a few schools – Hawkwood Elementary School and St. Maria Goretti Elementary. There is also a community association that oversees a community garden, recreation programs and other projects. Located in the NW, Hawkwood is nearby many convenient amenities. Both the University of Calgary and SAIT are not far, and both are easily accessible with the Calgary Transit LRT line. The nearby Crowfoot Crossing shopping centre has many major retailers, restaurants, services and a movie theatre. In addition, there are a variety of athletic fields and parks in the community, and the giant Nose Hill Park is located just to the east. For more information about the NW Calgary community, check out the current Hawkwood real estate listings above. Or send us a message today!